The Injector - The HDEV1700 is a drop-in fitment for many applications, which utilize the Bosch HDEV5 injector platform. This includes the popular 2.0L, 2.3L and 3.5L Ford EcoBoost engines. The new injector flows 1700cc/min at 200 bar of fuel pressure which is more than a 30% increase in flow over the stock EcoBoost injectors. The patent-pending process used in this injector allows for increased flow while retaining the OE spray pattern, which maximizes fuel economy, emissions, and drivability. Tuning Data  Being a brand new injector platform to the high performance aftermarket, it was vitally important to provide not only a great product, but to support it with great tuning data. 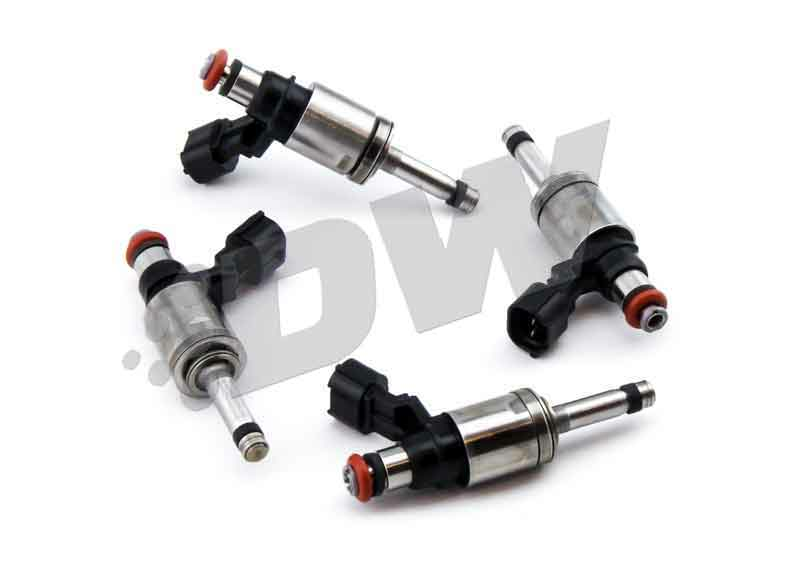 DW collaborated with SCT, the leader in EcoBoost tuning systems, to develop injector calibrations for the HDEV1700. Senior Calibrator Matt Alderman of SCT developed value files for the injector in the 2.0L Focus ST, 2.3L Mustang, and 3.5L F150. Proven Performance  In addition to the hundreds of hours of bench testing, dyno testing, and street testing, the new GDI injector has also been proven at the track. The HDEV1700 has been proven in BG Racings worlds fastest 2.3L EcoBoost Mustang. BG Racing combined 1000cc DW port injectors with 4 HDEV1700 injectors to fuel a 10.9 second quarter mile pass. 2015 2016 Mustang Ecoboost 2.3 S550 Turbocharged No one else can stack up to the bold clean styling of our aftermarket Billet dress ups, Street Strip & Racing Suspension & Performance Parts for your late model American Muscle Car!